AWS Config is a service that allows you to evaluate, audit and assess your AWS resources. Through AWS Config, you can record and monitor your resource configuration. It also enables you to automate the evaluation of recorded configuration against the desired configuration. Therefore, you can review the changes occurring in the configuration of your resources. Moreover, Amazon Config gives you a deep insight into resource configuration history and determine your overall compliance against the configurations that you have specified. AWS Configure services are often used by developers or operations teams to avoid misconfigurations at AWS resource/service level and close security gaps. Once you enable the AWS Config, it starts detecting your existing cloud resources, records of their current configurations and changes that have occurred in these resources. Data recorded by AWS Config can be extremely useful for security audit, operational troubleshooting and compliance use cases as well. It can determine how an AWS resource was set up at a certain point of time and what relationship it had with other services and resources. You need to be aware of all the configuration changes made in the AWS Config. 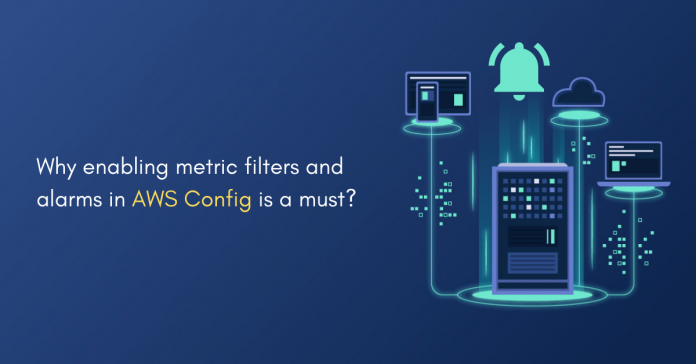 Therefore, it is essential to monitor any configuration changes made at the Config service level to keep your AWS cloud environment safe. What do you need Centilyitcs for? AWS Config plays a vital role in your AWS cloud environment. Hence, our primary advice to you: Avoid providing your non-privileged IAM users the permission to modify any configuration in AWS Config service within your account. Since visibility into your Amazon Web Services activity is an important aspect of safety and operational best practices, Centilytics makes it much easier for you to detect configuration changes in Amazon Config. It also helps you prevent any accidental or intentional modifications that may lead to unauthorized access or any other security breaches. Ok: CloudTrail has CloudWatch logs groups configured with metric filter, alarm, SNS topic with at least one subscriber. Warning: For your CloudWatch alarms, either no SNS topic is created or no individual is present in the list of topic subscribers to receive the alerts. Account Id: Shows the respective account ID of the user’s account. Account Name: Shows the account name corresponding to the user’s account. Region: This column shows the region of your instance where it has been used. Identifier: Shows you the service with its trial name. Log Group Name: It represents the name of the group which has permission to use the service. Alarm Name: Shows you the name of the alarm which you have assigned. SNS Topic Name: SNS refers to the Simple Notification Service group. A group of individuals who receive the alert message. Custom Severity Description: Shows the severity of your metric filter and its functions custom description. Account Id Applying account Id filter will display all the public snapshots for the selected account Id. Region Applying the region filter will display all the public snapshots corresponding to the selected region. Severity Applying severity filter will display public snapshots according to the selected severity type i.e. selecting critical will display all instances with critical severity. Same will be the case for Warning and Ok severity types. Resource Tags Applying resource tags filter will display those public snapshots which have been assigned the selected resource tag. For e.g., If a user has tagged some public snapshots by a resource tag named environment, then selecting an environment from the resource tags filter will display all those snapshots. Compliance Applying Compliance filter, you can further refine your security and health checks.